Satair’s UK operation has benefited from a multi-million pound investment programme, resulting in the opening of a brand new facility close to London’s Heathrow Airport. 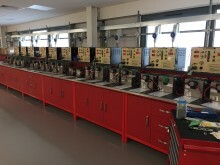 Designed and built in close collaboration with Satair, the new facility at Space Waye, North Feltham Trading Estate, became fully operational on March 19 and has six times the area and 11 times the cubic capacity of the previous Heston, Middlesex, facility which Satair had occupied for almost 30 years. 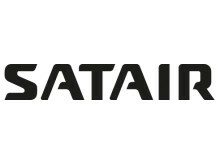 Currently Satair services some 7,500 aircraft batteries a year making it one of the world’s largest commercial aircraft battery servicing operations with a top-ranking reputation for quick lead times, quality, safety and the market confidence that comes from a strong heritage and pedigree of over 50 years. Some 180 customers, ranging from international scheduled airlines, charter carriers, large low-cost airlines and regional airlines to MRO companies, helicopter owners, business jets and private aircraft owners have their batteries serviced by Satair UK. The business is also one of the world’s largest aviation battery distributors, representing the top five battery manufacturers – ACME, Concorde, Hawker Enersys, Marathon Norco Aerospace and Saft. All of the 14 staff previously employed at Heston made significant contributions to the design, layout and functionality of the new facility and all have moved to Space Waye. 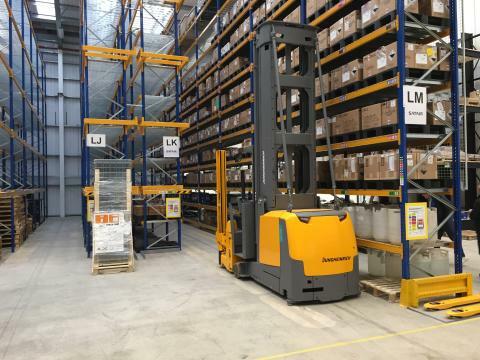 An additional five new employees have been recruited both for warehousing and repair operations and the business has started a battery technician apprenticeship scheme through the Way2Work initiative with the first apprentice now engaged. Besides being a distribution hub for spares and a battery servicing operation, the Space Waye facility also has expanded office space and being so close to Heathrow can be used as a convenient meeting location for Airbus, Satair, customers and suppliers. Satair Group UK has become the first organisation in the United Kingdom to meet the requirements of the new AS9110C:2016 and AS9120B:2016 quality management standards for the aviation industry. The new battery repair station at Space Waye.